Armani Diamonds Rose Eau De Toilette is light and fresh. Inspired by the unforgettable scent of morning roses and the pure brilliance of pink diamonds, the perfect reflection of the natural, free-spirited with sparkling notes of bergamot, raspberry and rose. 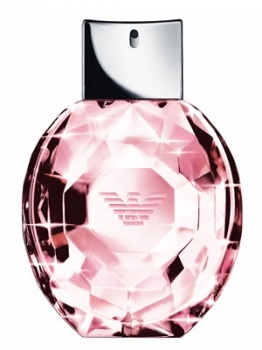 Emporio Armani Diamonds Eau de Parfum is a fragrance that reflects the sparkle, strength, brilliance and sexiness of the Emporio Armani woman.